The NH Arnhem Rijnhotel is on the banks of the river Rhine, just a 15-minute walk from the center of Arnhem and the city’s central train station, and a 10-minute drive from big attractions like Burgers Zoo and the Open-air Museum. Almost all NH Arnhem Rijnhotel rooms overlook the river Rhine – some come with a balcony. Extras include free Wi-Fi, a choice of pillows, and tea and coffee-making facilities. 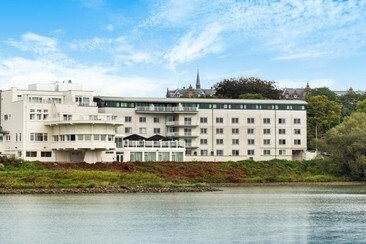 Hotel restaurant and terrace come with panoramic views of the river – a great spot for lunch or a pre-dinner cocktail. 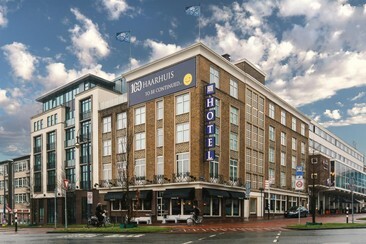 Located across the main train station and in the heart of Arnhem, Best Western Plus Hotel Haarhuis offers a lounge, bar and restaurant and free WiFi is available throughout. The highway A325 and the stadium Gelredome are respectively 2.5 miles and 1.7 miles away. Each room includes an LCD TV and a private bathroom. Breakfast is served each morning in the brasserie and includes fresh products, coffee to go and prosecco champagne. Guests can enjoy a drink in the lounge or taste the international cuisine in the restaurant. With the buses leaving from right outside the hotel, tourist sights such as the Dutch National Open Air Museum, the Airborne Museum and the Burgers' Zoo can be reached. Arnhem’s shopping and entertainment district offers many bars and restaurants at a walking distance from Best Western Plus Hotel Haarhuis and the Lower Rhine River is within 0.6 miles. The Veluwe area, with its national park, is 6.2 miles away.